Because they are fun? Its just Office and Agency right now. It doesn’t make sense as the tournaments don’t play cs_ maps and the rare times I tried to play them, nobody is playing seriously. 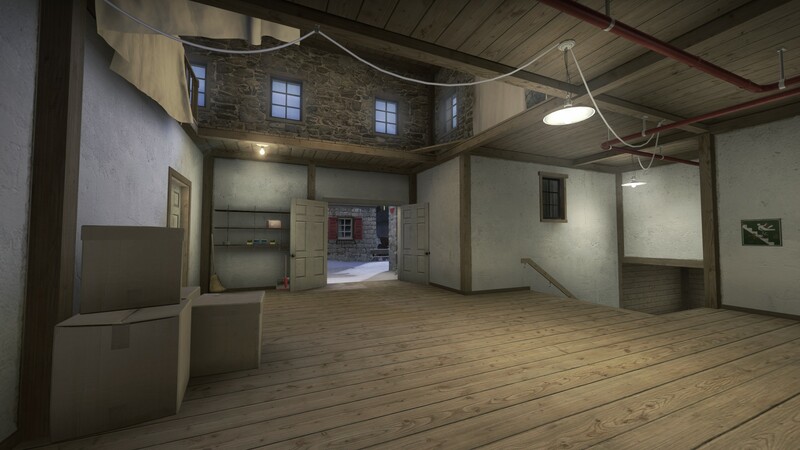 I’m not saying cs_ maps don’t deserve love, I used to play on D2+Office 24/7 servers back in the days, just they don’t seem to work as well as de_ now that my preferred mode is the 5v5. At the same time, Tournaments didn't play canals, and they arnt playing the community maps either, they arnt player cobble stone, so why leave it in? 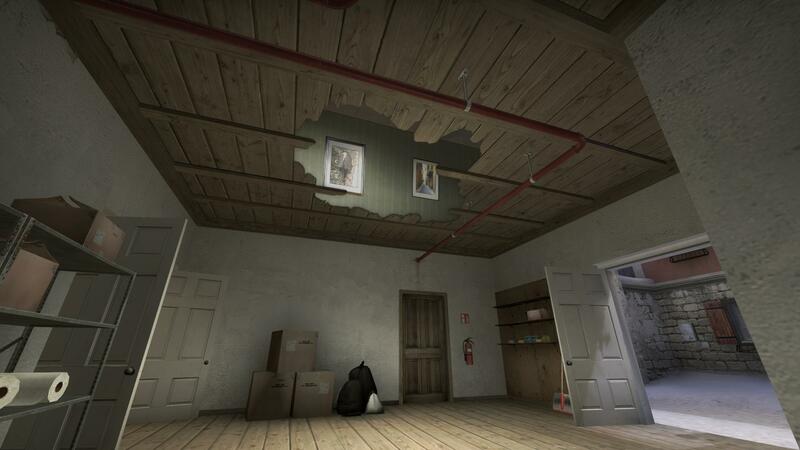 Granted the mode could be better, im not going to pretend like Agency and Office cant just be won by buying sawed off and smokes for the entire T-side, but removing them from the comp pool, removes incentive for map makers to try and improve the game mode with better layouts. 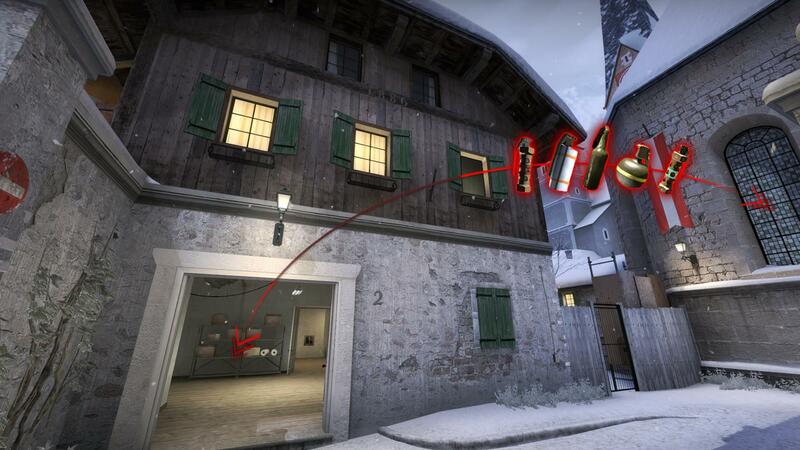 Although I’m not sure the AWP argument is correct: I pretty much always play my DM with AWP or Scout (since I don’t snipe in comp) and I won several matches on Austria no problem. 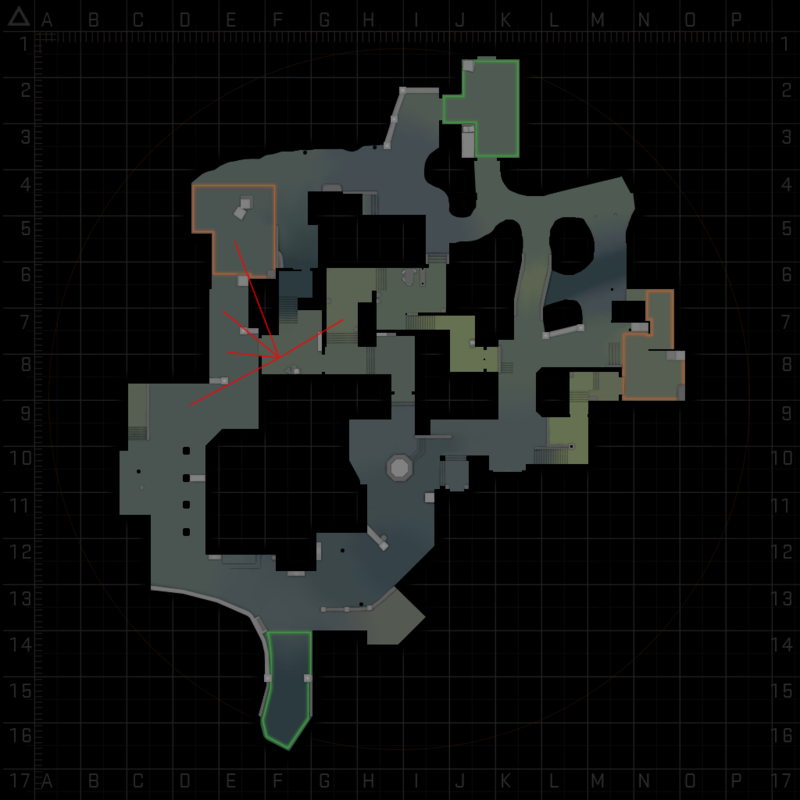 I think that if people are DMing to warm up, they might want to do on maps they will queue up next, to “refresh their angles” (although to me most people look like just running around like CODders). Good argument. Probably more correct than the idea I had. i played office like 18 years ago to present time & Agency from whenever it came out first time around till pretty much now, but from all those times i still feel Austria both look and play superior! 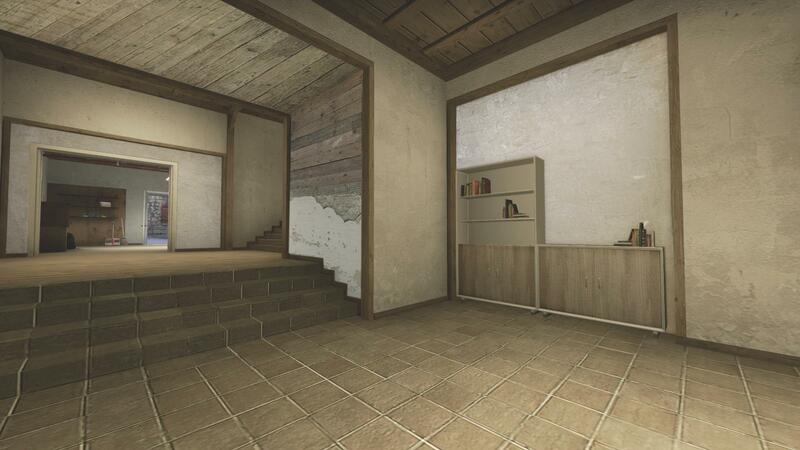 I know you keep it bright inside for clear visibility but that does not have to mean 100% same texture all the way around, ofc not saying red/blue walls like nuke but a TINY change like this? 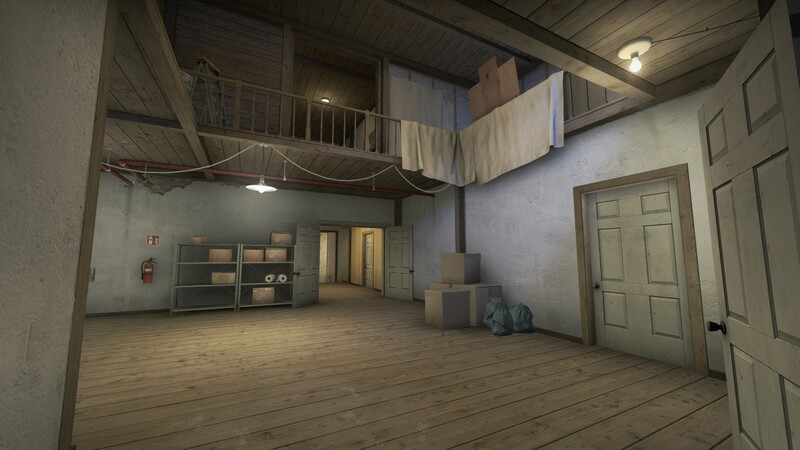 Players can still stand out clear as day while simultaneously bringing some of the reoccuring textures from the outside of the map just play around with your imagination to give it more "flavour"
If 1 window or more ever open the grenades could start raining down lol...might not be very useful but just a bonus i "threw in here" Or alternatively just raise that Light up flush with the beam! 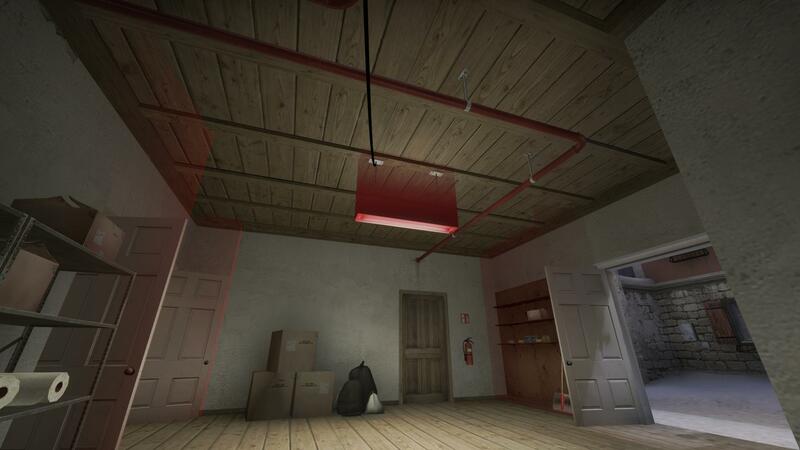 I know you keep it bright inside for clear visibility but that does not have to mean 100% same texture all the way around, ofc not saying red/blue walls like nuke but a TINY change like this?Players can still stand out clear as day while simultaneously bringing some of the reoccuring textures from the outside of the map just play around with your imagination to give it more "flavour"
I like the idea of opening the windows for nades. I've already made some changes to the room you are talking about, because it turned out to be one of the most important areas of the map, but it always was way too narrow and boring. I thought about it for a while and don't see any downsides from opening the ceiling + windows, so I will give it a try, I guess. These edited pictures look pretty cool btw. Also opened the (upper) wall to middle ("main hall") so that you can throw grenades there from the small room shown on the picture ("storage room") (or opposite direction). The room is also larger now. Still not the most exciting room, but all in all I think it's a lot better than it was before.